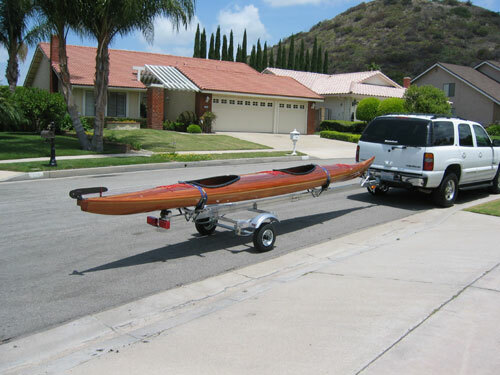 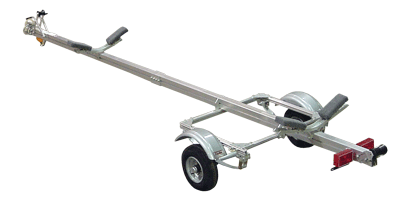 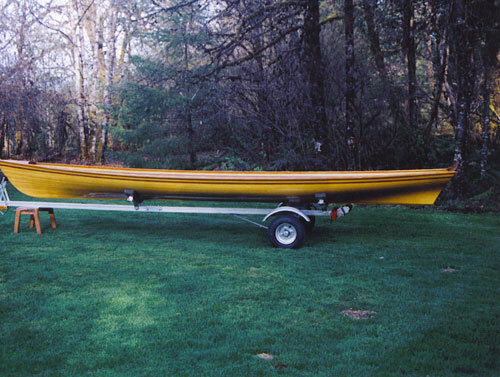 This trailer will transport a canoe, kayak or narrow sail/power boat up to 22' long. 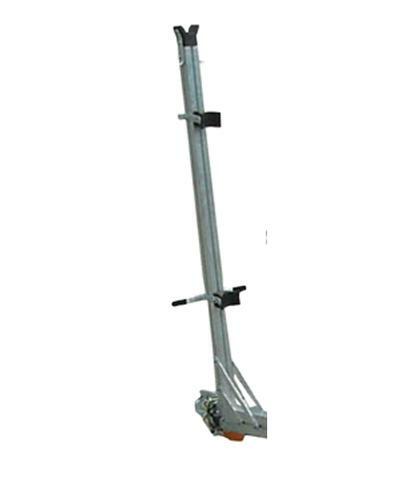 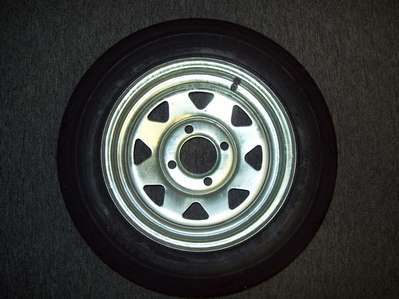 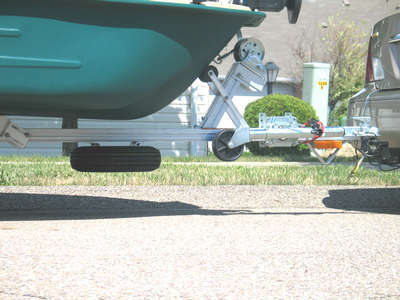 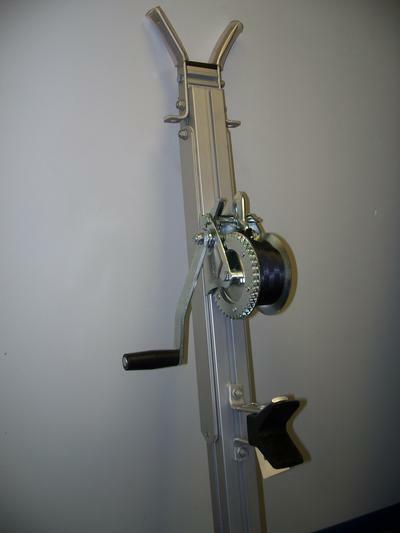 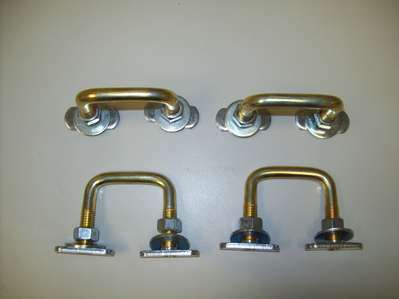 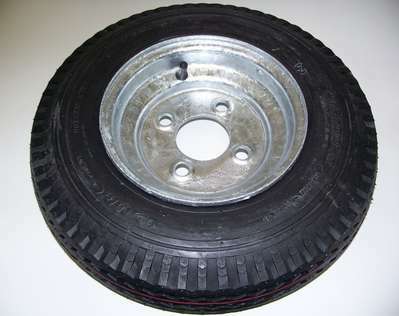 It's light spring suspension gives it a capacity of 350 pounds but also transports your boat smoothly. 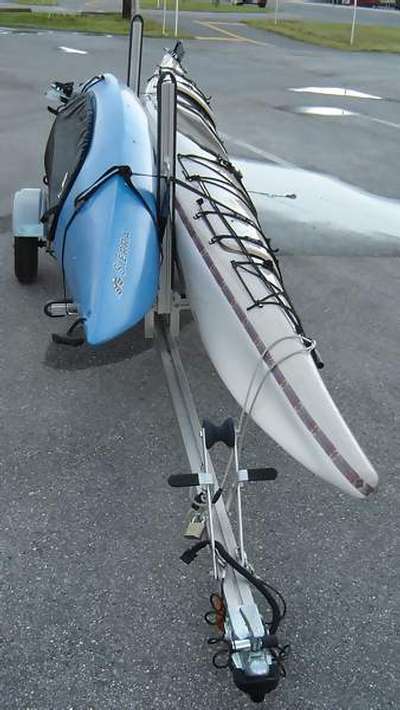 With the added capacity you will be able to transport gear in the boat, for added ease of getting to your "spot". 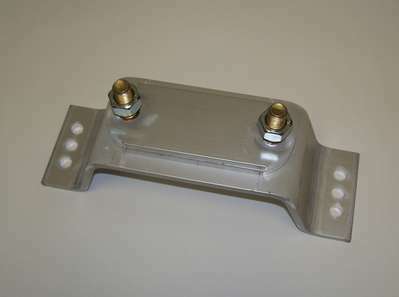 Made of maintenance free aluminum and as always fully adjustable. 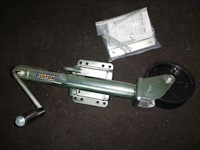 assembled weight 155 pounds. Assembled length 18' 6" width 52".